Mark Bunch is a Senior Lecturer in Petroleum Geoscience at the Australian School of Petroleum, University of Adelaide. 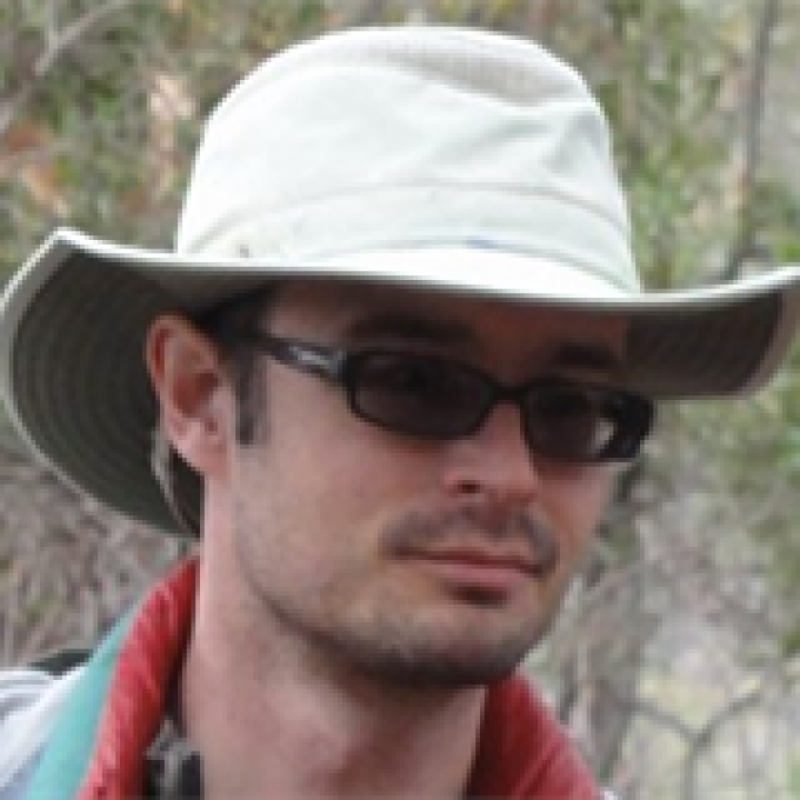 His present research activities are concerned with formation evaluation and seismic geomorphology. Prior to his present role, he spent seven years with the CO2CRC as a Research Associate in reservoir characterisation, during which he worked on geological carbon storage site selection, capacity estimation and geological modelling projects in the onshore Canterbury Basin (NZ), the Gippsland and Otway basins of Victoria, the Surat Basin of Queensland, and the Darling Basin of NSW. Mark spent a period of time as acting head of geomodelling for the CO2CRC Otway Basin Pilot Project and led CO2CRC storage research projects for five years. Mark has also worked for the North Sea Palaeolandscapes Project and as a developer of shallow groundwater flow models to guide gravel excavation planning. Welcome to a tale of many years, some different ideas, three approaches, two studies, one success (+ one failure) to automatically detect a single facies. This talk will describe the two studies, starting with the successful one that formed the basis for…..that other work in progress. Carbonate cemented zones within cored shallow marine sandstone of the Otway Basin are accurately identified by Elemental Capture Spectroscopy (Ca2+). This log became a ‘Rosetta Stone’ for training a Gaussian mixture-like (fuzzy logic) model comprising six much more commonly available wireline log datasets. The model is a robust predictor of the occurrence of carbonate cementation at local field wells. It also proved robust in predicting the same when deployed unadulterated in the Gippsland Basin 100s of km away. To demonstrate its effectiveness, the model will be live-tested for audience-selected SA wells as part of this talk (please suggest a familiar well intersecting carbonate cemented sandstones to the committee via email: sa-nt-secretary@pesa.com.au). More generally, the approach should be effective when applied to discriminate any single enigmatic wireline facies from background (e.g. low resistivity pay, hot sands, porcellanite). The assumption at this point is that wireline model predictions of cementation are accurate but of course they are constrained to a single spatial dimension. That other work in progress is an attempt to find rules that link predicted cementation with seismic attributes. Acoustic wave theory suggests cemented zones should have high acoustic impedance, should transmit acoustic stress efficiently and should confer limited anelastic attenuation on the seismic wavetrain. However, they are predicted to lie below seismic resolution at depths of occurrence. Given this spatial limitation the starting point had to be investigation of instantaneous attributes and in particular, to focus on envelope and frequency. Unique excursions in three derived instantaneous attributes of synthetic seismograms coincide at some wells with zones of predicted cementation. Unfortunately, when calculated and combined across 3D Geo’s Gippsland Seismic Megasurvey, such response was not seen to coincide with cementation predictions at wells. The forward plan is to develop a basin-wide deconvolution filter that screens out the effects of processing and other variations introducing ‘noise’ such as varied raypath trajectory, in order to ‘spectrally blue’ the field survey data and retest the performance of these attributes. In addition to a 2-course lunch, Club Bragg’s great range of drinks will be on offer. These include beer (Coopers, Goodiesons and West End), wine and cider.